This stand matches with the Peel computer disk listed separately. 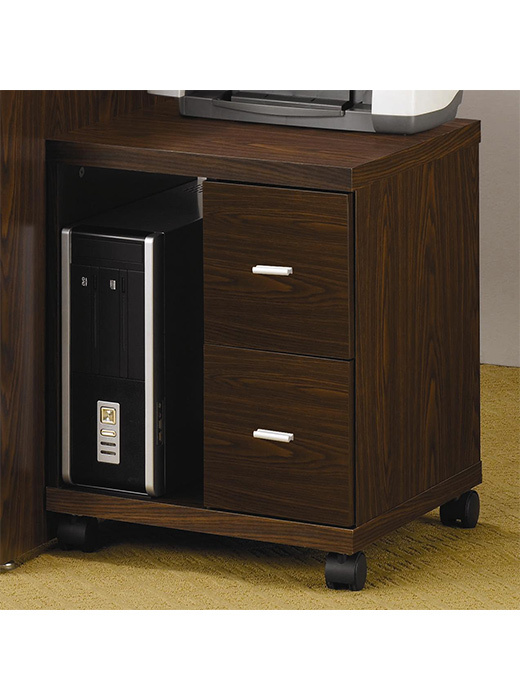 Keep printers and computer components close at hand with the addition of this two drawer computer stand. The stand’s smooth top is ideal for placing printers, faxes or scanners. 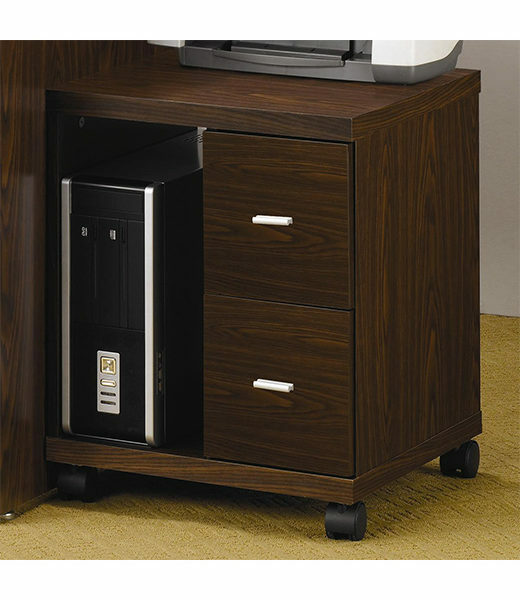 Two lower drawers provide just enough room for storing CDs, ink cartridges or related items neatly out of sight. A vertical open shelf even accommodates your CPU tower for a clean, uncluttered look. Place next to an existing desk or group with the coordinating computer desk and bookcase for a cohesive home office set. Available in a dark black or medium brown finish.